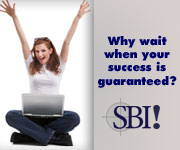 Work From Home With SBI! 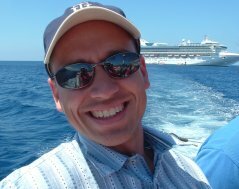 - Build Your Own E-Business And Live Your Dreams! And Be Your Own Boss? Q: How do you make money from a site about Party Ideas? A: Simple. I offer free party ideas, and make money from advertising and other affiliate programs like selling party supplies. Q: Did you have to take a course or any kind of special schooling to learn how to build this web site? A: I followed what was called "The Action Guide" It has everything you need to know about building a web site and is included with the purchase of SBI!. Things are shown to you step by step of how to do everything. Q: I don't know what I would build a web site about! How did you pick a site about Party Ideas? A: Everybody knows something about something. A hobby, or pass time or they just are knowledgeable about a certain topic. Well, guess what. There are thousands of people everyday looking for information about things that you know how to do! I just happened to know about partying. I built this site and the rest is history! Just ask yourself "What am I good at? What could I share with the world? What do I enjoy doing?" Your answer lays within those very questions! Q:What is SBI!? And how much does it cost? A: SBI in my words is The beginning of your new life! It is step by step (even baby steps) instructions of everything you need to know to build your own web site. They show you how to choose a profitable topic, choose a business name, how to build your site, and of course how to make money! It costs less then a dollar a day. Which for most, is their morning coffee. Worth every penny!! CLICK HERE to open a new window and watch videos about SBI! on SBI! TV! More important, they give you the tools you need to build a web site that can be in the Top 1-3% of all the websites in the world and the top of Google and other major search engines! How do we rank out of all Web sites? There are well over 100 million web sites in the world, and more being built everyday. Currently, we're in the top 1%! Every month we are viewed by over 150 countries in the world by thousands of people everyday! Go ahead and type in "Perfect Party Ideas" in any major search engine, and you'll see that we are #1 on the first page! Q: Why would a Web Site about Party Ideas offer a Web Hosting package, and why would you share this with everyone? A: Here is the big question followed by the big answer. I too was just like you and read a story similar to the one you are reading here. It too shared a story of internet success and promoted SBI! So to answer the question, I share with people everyday my story so they too can live the life they always dreamed. I would love if you could Work from home too! If you are like me you probably have a tear in you eye after watching that video. That may be a sign that for the first time you realize the possibility that you could work from home too! Everybody has a dream and a choice to follow it. Today could be the day you give back to yourself and do the things you’ve always dreamed. You must have a hundred questions. As did I! Can I really work from home? Before spending any money on something you are still unsure of, why not dig a little further and ask all your questions here and talk to a real person! Is there really anything free in life? Well actually there is. It's information! It is true that yes sometimes you have pay for that too, but not this time. Down load everything you need to know about what Site Build It! is really all about and everything they offer. Find a comfy chair and sit back, because there is so much information here. These here are the TOP 10 Marketing Books out there. Happy Reading! I know times are tough for many people. As a parent, I know all about "hidden" daily costs of living. But, for a limited time, For The First Time Ever... SBI! 2.0 Is Now $29.99 Per Month! So, even if you can't afford $299, take the $29.99 Monthly Option. You've got nothing to lose (even the $29.99 is guaranteed!) and a life-changing business to gain! That's only a $1/day risk to start your own business, work from home and do the things you've only dreamed! I'd love to hear your comments and success stories too! Feel free to drop me a line on our Contact Us Page and tell me how you were inspired to work from home too! Remember, results may vary. You get out what you put in. All of this information is here to provide you with an educational view of this product and to give you some isolated examples of success. However, these are the exact same tools I used to build this web site! So, if I can do it and work from home, you can do it too!